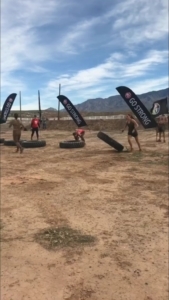 For anyone who thought they would be running near the strip in Las Vegas for the recent Spartan Race, they were sadly mistaken as the course actually ran 90 miles away from the strip in the Arizona desert. This may have been a bit off-putting for some as the overall attendance seemed to be lower than usual. The course itself was breathtakingly beautiful, but mother nature wanted to have her say with the low temperatures and high winds. For anyone running elite or competitive heats, the course was a very pleasant experience with a mild temperature to start and a gradual increase in the first two hours. However, anyone who started running after 10:00 was greeted with strong winds and sand blown into every place imaginable. Spartan was ill-equipped to deal with the excessive winds and several tents did not survive the festival area and many obstacles swayed back and forth. The course itself was a long 8.2 miles through deep sand and several mud and water obstacles. Cody Moat won the elite men’s heat and finished almost an hour faster than this reviewer. 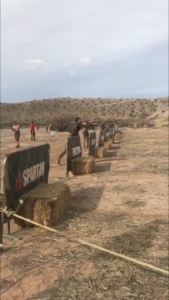 The crew in Vegas did a wonderful job putting together all of these obstacles and the course planner did an even better job with their sequence through the run. Some of the best highlights include two mud pits, followed by the dunk wall, followed by the slip wall. 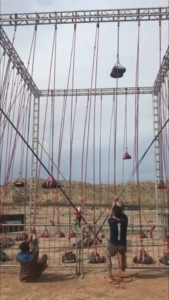 By the end of the day, it was almost impossible to get up the slip wall without the ropes and Spartan had racers wet, cold, and muddy after only a mile into the course. 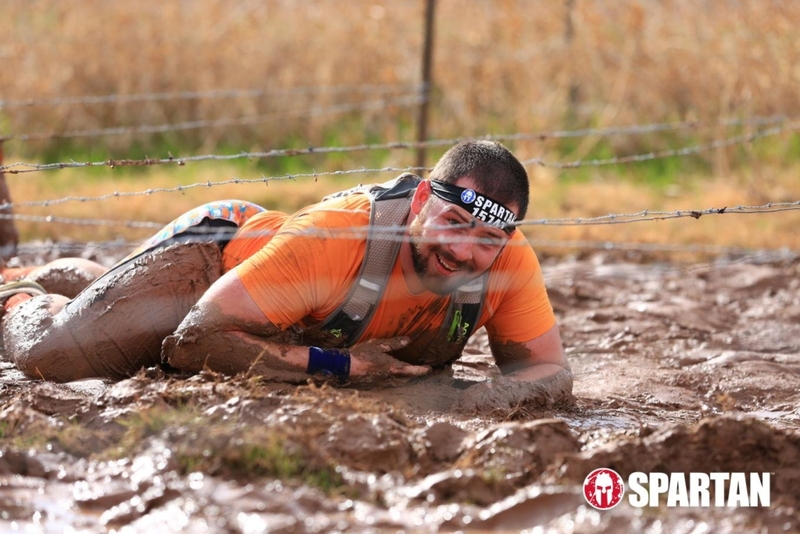 The first barbed wire crawl helped to get you wet and muddy once again a few short miles after you finally managed to dry off from the first set of water. This feeling carried on until you had to fight upstream for over ¼ of a mile and then was followed by another barbed wire crawl through dry sand and dirt. There was no break from the mud and water on this course and that was a welcomed surprise when running in the desert. 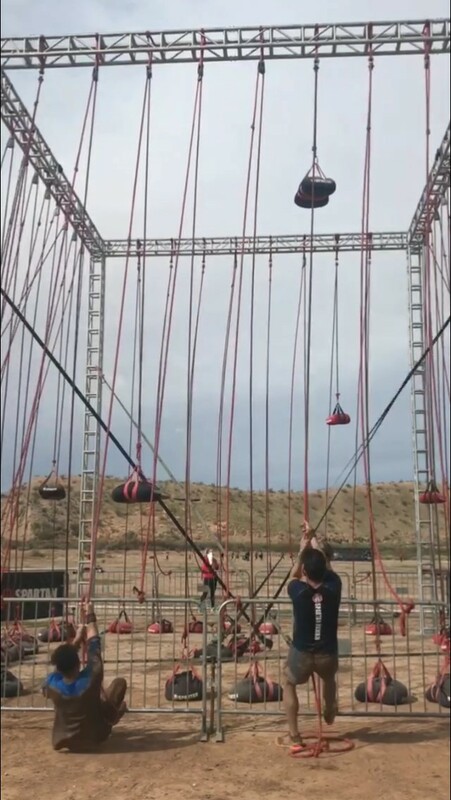 Some new variations this season include a platform at the base of the cargo net that racers had to climb before going over the top and prefilled bucket brigade so everyone had a level playing field. 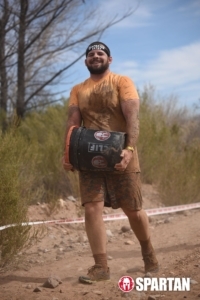 The secret to the new bucket brigade was carrying the bucket upside down and using the added grip of the lid to power through the short course. The most failed obstacles continue to be twister, the multi-rig, and spear throw. 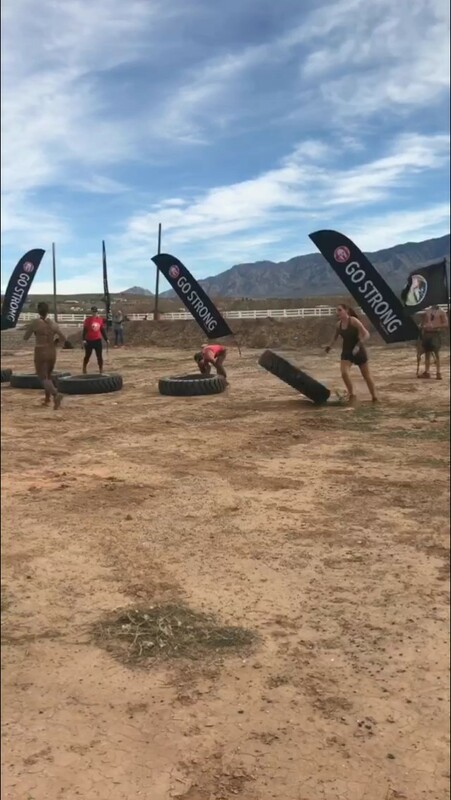 The most difficult obstacle was actually the deep sand as it was more like running through an episode of Baywatch than running a Spartan course. There were no new obstacles released at the race, but all of the old favorites were included. The biggest disappointment on the day had to be the festival area and the overall check-in process. Being situated in a canyon in the middle of the desert caused havoc with the computer systems and this caused long lines at registration. There were several racers who brought signed waivers and their race info UPC and still got sent to a different line because the systems were not working properly. The placement of the changing tents and shower station were not well thought out as each tent had almost 3” of standing water and there was nowhere dry to stand and change. This was especially frustrating considering all of the water and mud obstacles as well as the whirling sand in the wind. Sponsors also seemed to be at a premium for this race as the festival area seemed barren and less like the party atmosphere that Spartan normally goes for. 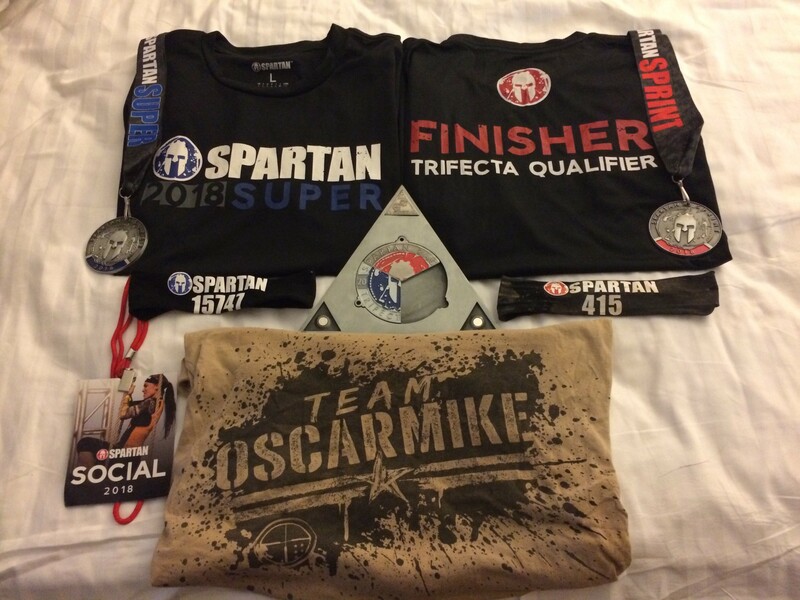 The Spartan Super in Las Vegas was an all-around great race. There were a few planning and la yout issues with the changing tents and service for the computers to check in, but the course layout was phenomenal and the scenery beautiful. 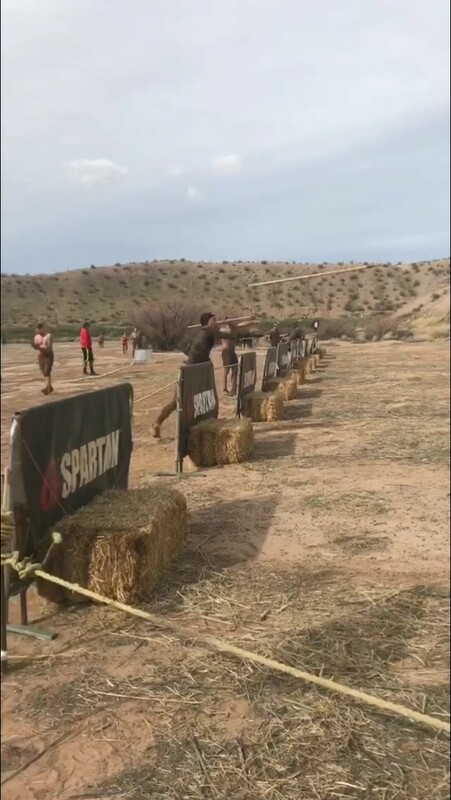 Spartan also ran a last-minute promotion where anyone who arrived at the race and showed that their race had been canceled that weekend could run for free. 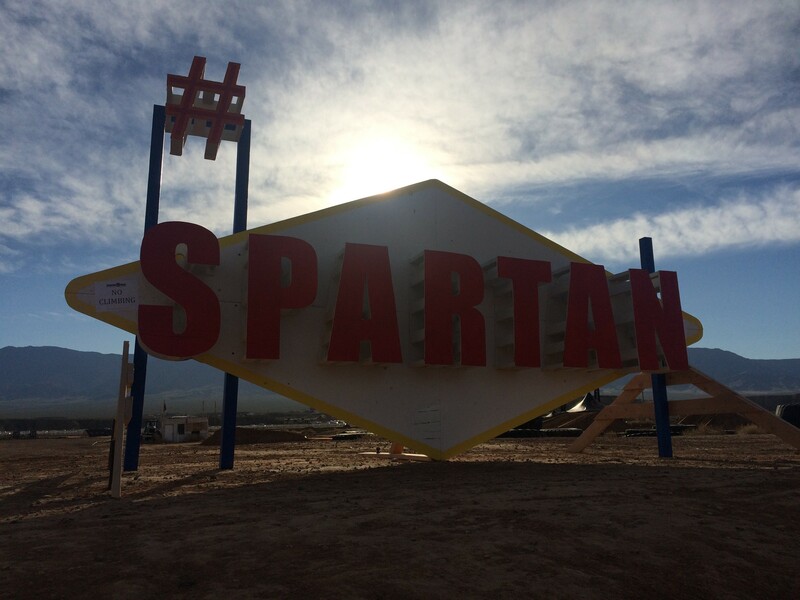 Tough Mudder took a blow when they canceled their event in California, but Spartan picked up the slack. I would give this race a 3.5 out of 5 due to the weather conditions on Saturday, the bare bone festival area, the poor placement of the changing tents, and the service issues that caused long lines at check-in. The course itself was great, but there were several small things that took away from the overall experience for most racers. 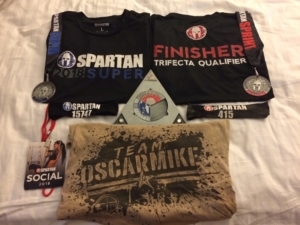 I have been running OCR and mud runs since 2012 but have only started getting competitive in the past year. I currently reside in Colorado and plan to climb every mountain and run every race that I can. I run a physical health intervention program for the Mental Health Center of Denver and also write for FootballGuys on top of MudRunGuide and being a personal trainer.